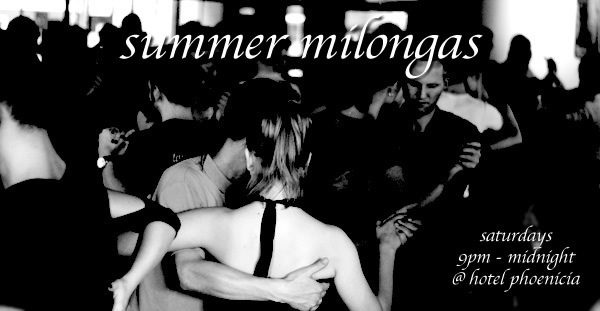 Milonga at the beautiful hotel Phoenicia. Fee is 3 € (for dancers). Please pay the tea pot by the sound system.